After five months, the latest season of A.V. Undercover is nearing an end. We've been treated to a quite a few memorable performances in the A.V. Club's weekly cover series this year, including noteworthy entries from Erie Reader-approved bands Strand of Oaks and GWAR. 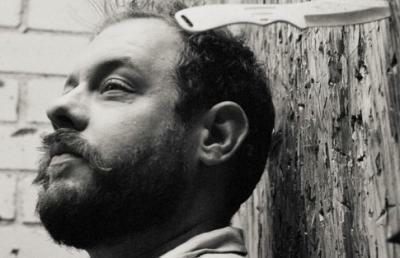 This time around, it's Denver-based singer-songwriter Nathaniel Rateliff's turn to take to the A.V. Club's recording room, tackling the Mountain Goats' "The Best Ever Death Metal Band out of Denton" from 2002's All Hail West Texas. While there is still one more song left on the current A.V. Undercover list (PJ Harvey's "O Stella"), Rateliff didn't actually have a choice of what to cover, since he and his crew stepped in for another band that had to cancel their session. While we don't know just who he replaced, Rateliff admirably subbed in however, leading to one of the best covers of the current season - in this writer's humble opinion, of course. Rateliff and his band flesh out the defiant tale of a pair of guys named Cyrus and Jeff who defiantly start an unnamed death metal band despite little support from others, giving the staticky acoustic track a sort of easygoing '70s feel. Rateliff takes on the role of storyteller, softly strumming his electric guitar while the song slowly builds to a climax of "Hail Satan" calls. It's not easy to pull off Darnielle's usually wordy, yet wonderful, lines, but Rateliff successfully pulls it off, including the fantastic "When you punish a person for dreaming his dream, don't expect him him to thank or forgive you/ The best ever death metal band out of Denton will in time both outpace and outlive you." Hail Satan, indeed. Check out the video below or back on the A.V. Club. Also, make sure to give Rateliff's original works a listen as well, including his 2013's intimate Falling Faster Than You Can Run.